Kwang Ok Kim has assembled a wonderful collection of studies about what had happened and what is happening in East Asian food. These studies fall into three main categories: how national and local cuisines define what is traditional in a particular country’s food consumption; how food practices from elsewhere transcend national and cultural boundaries; and, lastly, how people see their own and the cuisine of others addressing well-being, health, and danger. 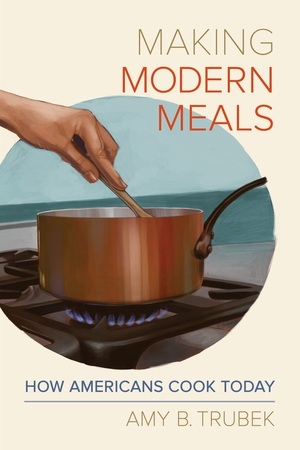 Moreover, Kim’s introduction and each of the studies situate their discussions in larger academic and global studies about modernism, authenticity, traditionalism, nostalgia, globalism, and food safety. The studies are particularly germane to students of food, culture, tourism, and politics. Section I, about national food changes, contains four essays. 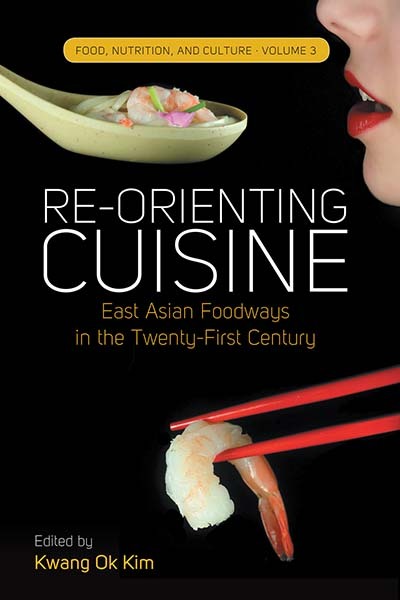 The first, by Opkyo Moon, demonstrates how Koreans have created/re-created a royal cuisine from the period before the Japanese colonial control. This cuisine, coupled with other period practices, is a way that Koreans have established a significant connection to a more illustrious past. The second, by Hsin-Huang Michael Hsiao and Khay-Thiong Lim, contrasts Malaysian cuisine(s) and Taiwanese cuisine. They suggest that Malaysia has decided to try to create a national cuisine, bringing together its different ethnic and culinary traditions. The British, they argue, did not accept any significant foods as part of their occupation. Taiwan, on the other hand, has “returned” to its pre-Nationalist Chinese occupation past by focusing on dishes from that earlier era. Jean de Bernanrdi outlines how tea culture was introduced in Wudang Province in China. This introduction created a sense of tradition, authenticity, health consciousness, tourism, and international connections to vendors overseas. Kwang Ok Kim shows how Koreans focused on and “re-invented” rice as central to their identity and their sense of health and well-being. These practices have extended to Korean restaurants overseas. In sum, these essays portray cuisine as a something real–something to be consumed and enjoyed, and as symbols of national identity. Moreover, they also show societies using their cuisines to create and imagine pasts, futures, to portray “authenticity” and to offer food as commodities to promote health and tourism . 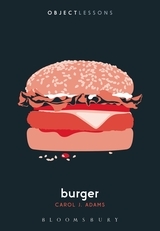 Section II, about food practices across nations and cultural boundaries, contains six essays. The first, by Kyung-Hoo Han, traces the recent history of ramen in its many forms, from China to Japan and Korea. Japanese ramen is much more of a “…fatty and nutritious” dish than earlier domestic soups (p.92) and is served in restaurants. Korean ramyeon, on the other hand, tends to be an instant quick, fast food version of noodle soup, previously much saltier, and not eaten in restaurants for the most part. David Y. H. Wu follows the path of Japanese cuisine in Taiwan. Taiwanese see eating Japanese food as a return to the time when the Japanese occupied Taiwan. Japanese food is considered both comforting, and given Japan’s emergence as a modernizing power, a connection to the larger world of sophistication., Moreover, Japanese food has diversified in terms of incorporating Western elements, such as Japanese French pastry, so Taiwanese people can partake of global food trends. One personal note here: in a “reversal,” two of the Japanese restaurants where I live are owned and managed by Koreans. Furthermore, a local Thai restaurant shows the cross-cultural fertilization outside of Asia: “traditional Thai noodles, curries, and soups are interspersed with surprises such as the Laotian Pork Sausage appetizer and British-inspired curry puffs (spiced potatoes and carrots wrapped in dough that is then fried” Voight (2018: 14 .) As many of the essays have noted, overseas Asian communities experiment with many kinds of fusion dishes and mixing cuisines. Often, overseas Asian influences work their way back into national cuisines, as noted above in the ways “Western Japanese” food is an alternative food in Taiwan. Section III, about well-being and safety, contains four essays. In the first essay, Young-Kyun Yang portrays a South Korea increasingly concerned with well-being and taking care of one’s body. Consequently, Chinese food, once favored, is seen as unhealthy because it is considered too greasy and contains too much MSG. In the second essay, Sidney C.H. Cheung traces the evolution and dispersal of American crayfish in Asia, where each country and cuisine treat it differently, as for example, in China, where some producers make it into “lobster.” In the third essay, Jakob A. Klein draws a picture of a Chinese population increasingly concerned with the cleanliness and purity of its food. He notes that as elsewhere in the world, foods often seen as cleaner foods are more expensive and out of the reach of poorer people who both value it and cannot afford it (p.246.) In the fourth essay, Yunxiang Yan traces food safety concerns in contemporary China. Originally, people were concerned with food being poisoned, in part because chicken, for one example, was dumped into lower class food stalls and restaurants. At the time of Mao and even in the present government enforcement has not prevented poisonous additives and materials from entering food. Taken separately and together, these essays show the interconnections and continuing changes between national identity, politics, culture, the search for well-being, and the concern with food safety, in East Asia. These changes and concerns also mirror developments around the world. Jonathan Kauffman shows similar concerns, for example in the origins of “Hippie Food” in the US, including many of its past and continuing connections to developments in Asia (2018). Jean-Pierre Poulain sees the same trends in the Kim volume occurring in the United States and France and places food studies as central to understanding cultural, economic, political, and medical changes in any country (2017.) 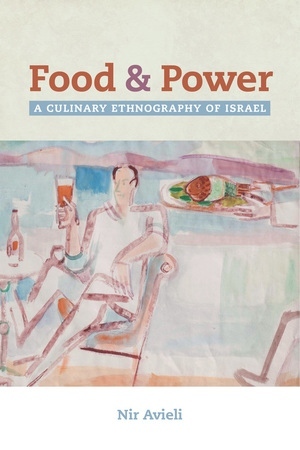 Kim’s collection serves as an assessment of current developments on most of these themes and as a marker for future changes as each country defines its identity and concerns in terms of food movements around the world. Jonathan Kauffman. Hippie Food: How Back to the Landers, Longhairs and Revolutionaries Changed the Way We Eat. New York: William Morrow. Jean-Pierre Poulain. Translated by Augusta Dior. The Sociology of Food: Eating the Place of Food in Society. London: Bloomsbury Academic. Joan Voight. Made Local Magazine. v.6, number 1. pp.12-19. 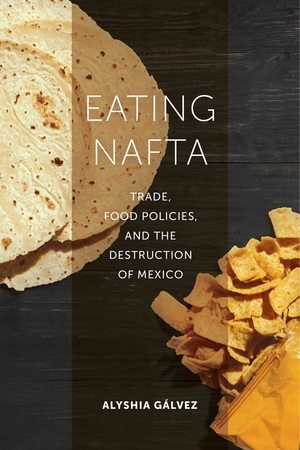 Eating NAFTA: Trade, Food Policies and the Destruction of Mexico. Alyshia Gálvez. University of California Press. 2018. 260pp. ISBN:9780520291812. 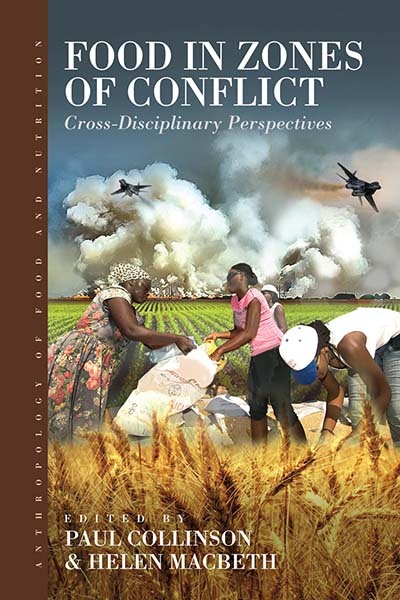 Alyshia Gálvez has written a very important and timely book about the connectedness of international trade agreements, migration, diet-related diseases and the loss of biodiversity. She focuses on the two decades plus since the North American Free Trade Agreement (NAFTA) went into effect in 1994 and its impact on the lives of Mexicans on both sides of the border. Gálvez interweaves large scale statistics from reliable sources with her own ethnographic encounters with people from various walks of life, rural and urban, labor migrants and politicians. She complements her decades-long ethnographic fieldwork with discourse analysis and policy analysis, linking the micro with the macro. She pays particular attention to the changing lifestyles of rural Mexicans who no longer can support themselves with milpa agriculture since the USA began dumping subsidized corn in Mexico. Not only have their diets changed, but they can no longer maintain multigenerational households as they have been sucked into a cash economy and family members have migrated to cities and abroad in pursuit of cash. She tells us that today Mexico imports 42% of its food and has a 55.1% poverty rate. She tells us that the top three causes of death and disability are now diet-related chronic diseases. She tells us that in 2007, 12.8 million Mexicans were residing in the USA. She proposes in the Introduction that we consider this as a kind of structural violence. “’Gringos’ clamor for handmade tortillas, while Mexicans have become the world’s top consumers of instant noodles” (p. 10). Chapter Two provides an ethnographic look at the elevation of traditional Mexican food into the world of haute cuisine, blessed by René Redzepi, the celebrated Danish chef. Gálvez examines “the role of narrative capital in telling certain kinds of stories that simultaneously romanticize specific elements of cuisine (like hand-ground landrace corn), while cleaving them from the historical conditions of their production and the people responsible for their development and custodianship over millennia” (p.30). Mexican cuisine was inducted into UNESCO’s list of Intangible Cultural Heritage in 2010. Gálvez addresses the timelessness of the UNESCO description, while providing examples of changes in Mexican cuisine since the Spanish conquest, and notably since NAFTA. Some farmers of landrace corn fed it to their animals because the price and demand was so low, but today, top chefs are paying premium prices for ancestral corn that they serve along with huitlacoche, insect larvae, mezcal, and other traditional Mexican foods that have been newly discovered by elite chefs and diners. Gálvez stresses the importance of stories and who gets to tell them. She recounts stories that Mexican farmers tell about hybrid vs. criollo corn. Hybrid corn “requires more water and pesticides, costs more, and behaves like a spoiled baby” (p. 60) according to Nahuatl-speaking farmers of Asunción Miahuatlán. Other farmers justify the higher cost of raising hybrid corn with market demand for the larger ears eaten as corn on the cob. Chapter Three shifts from corn to goats, but repeats the messy pattern of some people deciding to continue raising criollo goats which taste better while others follow the advice of government agronomists to invest in fancy goats. Gálvez rehearses for us the history of Mexico’s development policy and the constant desire to make agricultural production more “efficient.” She argues that small-scale agriculture is compatible with other subsistence and economic activities and it ensures biodiversity and environmental sustainability. Central to her argument is the contrast between a market-driven food security model promoted by free trade agreements, such as NAFTA, and a food sovereignty model that calls for democratic control of the food system. As marginalized rural residents are blamed for Mexico’s “inefficiency,” their displacement has led to increased consumption of US products and labor migration to the US, both actions subsidizing the US economy. Chapter Four begins with a description of Doña Yolanda’s small store, filled with candy and other processed foods. Stores like this are typical in many poor countries, so I was glad that Gálvez spent some time explaining the attraction of getting into this type of business and the competition they face from larger chains, such as Oxxo and Walmart. She describes how processed food at first marked cosmopolitan modernity, but now is associated with lower status. Mexicans have embodied free trade and the nutrition transition in the form of widespread obesity, though Gálvez questions whether the cause is skyrocketing consumption of sugar or the myriad chemicals used in farming and food processing. She states that chemical exports from the US to Mexico increased 97% in the first decade after NAFTA was passed. Chapter Five addresses strategies to combat obesity and diabetes in Mexico. Here, Gálvez points out that the solutions to this problem always seem to rest on the individual and don’t address changes in the larger food system. She, then describes three parts of the Mexican government’s response to diabetes and obesity: the soda tax and regulations on food marketing; the anti-poverty program, Prospera; and the Crusade against Hunger. She shows how the latter two strategies propel people towards a cash-based economy and away from traditional knowledge concerning healthy food. She ends the chapter with a discussion of women’s labor and how, even when working outside the home, women are expected to be responsible for the diets of their families. As their access to money increases and their time decreases, they are more likely to rely on prepared foods. The author points out that it is not fair that they and not the state should be held responsible for obesity. Chapter Six looks at diabetes and asks about the role of migration in the rise of this disease. The focus is on the relationship between stress and diabetes on one hand and stress and migration on the other. She cites Mendenhall’s work on syndemic suffering which calls attention to the intersection of both diseases and epidemic social problems. Research is only beginning to explore the connections between diabetes and stressors such as separation from family members, discrimination, labor exploitation, poverty and lack of health insurance. The diets of migrants change, but also the migradollars they repatriate increase the consumption of larger quantities of processed foods back home. Chapter Seven begins with watercress, a food that many Latin Americans have a nostalgic response to, but that never figures into stereotypes of Latin American cuisine. Gálvez asks “how many humble but clearly significant foods are forgotten in the transition to more urban lifestyles or with migration?” (p. 174). She also asks how much of our nostalgia for certain foods is nostalgia for the contexts in which they were produced and eaten and notes that migration intensifies nostalgia for specific places and tastes, especially when free circulation is prevented. Decontextualization enabled traditional foods to be appropriated and commodified like the expensive tamales offered by Williams -Sonoma or McDonald’s McBurrito. In response, food activists are promoting traditional foods and their health benefits as part of food sovereignty. At the same time that traditional Mexican cuisine is going global, global products like Coca-Cola have invaded indigenous culture and ritual and this, in turn, has become a useful marketing tool. In the Conclusion, Gálvez tells the story of one Mexican migrant to New York who found his way back to the land with help from a non-profit called GrowNYC. The migrant in this story stands in contrast to the multitude of Mexican migrants who have become “’surplus bodies,’ and bodies as repositories of surpluses, storing the products of overproduction and uneven trade negotiations” (p. 192). Gálvez proposes that the rise of diet-related illness in Mexico is “a logical result of the prioritization of foreign direct investment, industrial agriculture, theories of comparative advantage, and a specific role of development that sees no role for small-scale agriculture” (pp. 192-193). At the end of the book, she takes us back to alternative movements such as GrowNYC that promote social justice, resistance and resilience while promoting ways of eating that “build our connections to each other and to land and culture” (p. 199). Nevertheless, she warns that solutions require more than consumer activism at the local level. Throughout the book, Gálvez often shifts her discourse from explaining to giving the reader insight into the conversations and observations that led her to make particular points. Sometimes these are descriptions of encounters; at other times, direct transcriptions from interviews in Spanish. These are not translated in the text, but merely summarized and commented on. (Interested readers can find the exact translations in the endnotes.) It’s a refreshing style that maintains reader interest in the topics at hand while also opening the research curtain. Gálvez successfully presents the complexity of a food system gone awry and the important role played by NAFTA. I highly recommend it as a text in courses dealing with food systems, social justice, migration and public policy, as well as courses on Latin America. When my children were small and I kept frequent company with Mother Goose and her oeuvre, I often wondered why Humpty Dumpty was depicted as an egg. Nowhere in the nursery rhyme is he so described, but just try to imagine him as something else, a teapot or a pane of glass or some other thing that might shatter irrevocably. When I opened Nicole Walker’s compact book, *Egg*, I had high hopes that she might enlighten me. The book is part of a Bloomsbury series called “Object Lessons,” which aims to explore everyday items with an imaginative slant. Other publications in the list include *Dust*, *Bread*, *Shipping Container*, and *Password* (clearly ‘objects’ is loosely interpreted). All the books are petite, about 6″ by 4″, with silky-soft, touchable covers. Walker teaches creative writing at a Northern Arizona University, and I imagine she is very good at it. Her interest in other people and their lives holds the book together. Her specific remit, the egg, provides her with a good deal of scope and she enthusiastically takes her readers along for the ride. “Writing is best,” she tells us, “when I sit down and the words just come out…”. That sentiment very much summarizes the tone of the book: stream of consciousness, loosely focused on eggs in all their forms, slightly scrambled. Much within the lovely covers is delightful; some is dull. The book is at its best when Walker narrates her own or her friends’ personal egg-related (however tangentially) stories, including her life as a writer, her journey to motherhood, the vagaries of child-rearing. Once we accompany her on an anxious journey to the emergency room to learn whether she is experiencing an ectopic pregnancy (she is not). Another time, we join Walker for a camping trip on the rim of the Grand Canyon where she reunites with an erstwhile best friend, after the two had stopped speaking to one another for five years (they cook eggs). During these episodes, we feel as though we are sneaking a peek in a diary, albeit an authorized look. 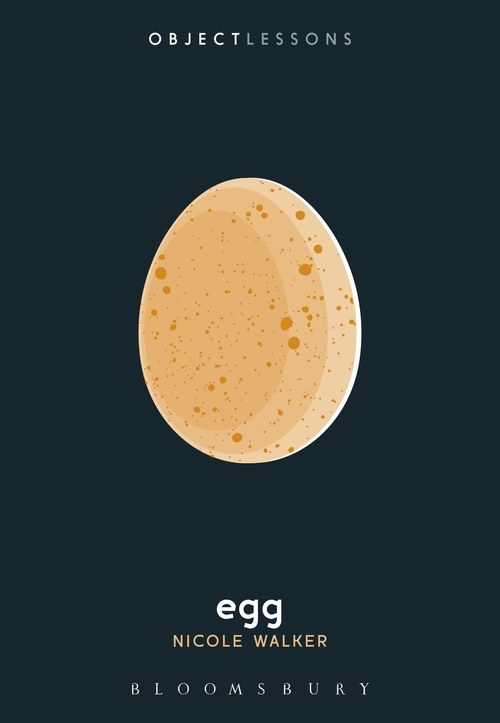 Walker discusses eggs as they appear in various origin myths (Dogon, Finnish, Vedic), and mixes in her own struggles with fertility, playing on meanings of ‘origins’. She calls upon friends and correspondents, some from different national or ethnic backgrounds to her own, and begs them to provide her with material. In this way, we learn about Korean egg-related proverbs, Ukrainian Easter egg traditions, and Chinese recipes. “Everyone has an egg story,” Walker concludes, though I note that all her informants are women. “Women tell me their egg stories,” might be more appropriate. These tales are undeniably interesting in that diary-peeking sense. Where the book lost my attention, however, was in its more philosophical meanderings, for instance, about women as giant matryoshka dolls containing eggs that produce more eggs, and so on; numerous metaphors about hardness and softness, and ruminations on the state of the environment (endangered turtles and their eggs; eagles and theirs). Walker makes a foray into the psychology of decision-making by discussing whether having the choice of caged, cage-free, organic, and other types of eggs is paralyzing and counter-productive. We accompany her on various web searches, picking search terms, selecting sites. I find myself suspecting that she is sometimes struggling to bulk up the word count. That said, I did enjoy the thread of stories personal to Walker herself. And I learned a few things, including why eggs in the UK, where I lived for many years, do not need refrigeration, whereas those in the US, where I was born and grew up, do. (It is because USDA regulations require that eggs be washed prior to sale in supermarkets, thus removing their natural anti-microbial coating.) And at the end, there is a nice recipe for egg-fried rice. I did not, however, learn why Humpty-Dumpty is an egg. If anyone has ideas in that regard, please let me know.